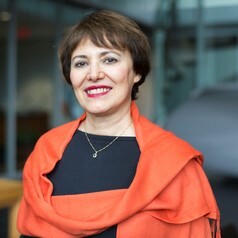 Presenter: Homa Hoodfar, Professor of Anthropology, Emerita, Concordia University, Montreal. Her primary research and expertise lies in the intersection of political economy; gender and citizenship rights; women’s formal and informal politics, gender and public sphere in Muslim contexts. She has published extensively including several books and numerous articles based on her different research projects.